Time and again our Splunk customers have sought our counsel on ‘what hardware we recommend for optimizing the performance of their Splunk implementations’. Until now, we’ve simply pointed them to Splunk’s standard recommendations in terms of Cores, RAM and IOPS and shared our experiences in what others are doing. Frustratingly, that was the one piece of the Splunk puzzle where our comprehensive approach admittedly fell short. Through our strategic partnership with the team from SBOX, thankfully those days are over. Founded by a team of technical and security experts formerly from Splunk, SBOX has developed the industry’s first fully-integrated set of appliances built specifically for the Splunk data platform. 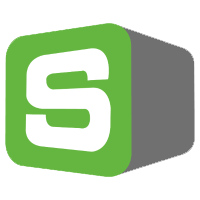 By leaning on their years of real-world experience with hundreds of global Splunk deployments, SBOX has optimized a product line that eliminates the complexity of configuring hardware for your machine data. Designed from the ground up by Splunk experts, their appliances offer a hardened operating system which allow you to deliver security best practices, high-performance storage for IOPS, and an intuitive web interface to simplify deployments. Give us a call today or send us an e-mail to see how you too can fully optimize the performance of your Splunk investment.